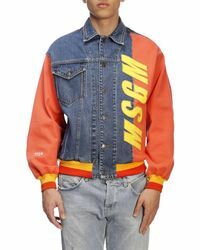 Founded in 2009 by innovative designer and DJ Massimo Giorgetti in partnership with the Paolini Group, MSGM is a unique brand that blurs the line between fashion, music and contemporary art, with a nod to indie styling. 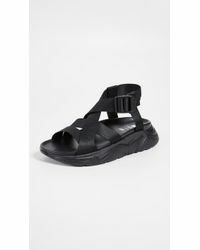 Giorgetti’s personal aesthetic blends into the MSGM collections, making them modern, directional and ultra-wearable. 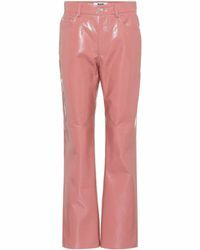 A favorite among the fashion party scene, watch out for slogan-print sweatshirts, bomber jackets and jersey t-shirts from this Italian brand. 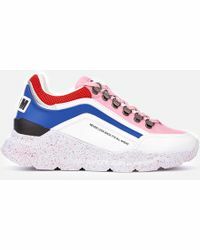 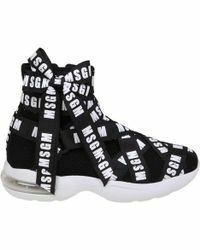 Browse and shop the full range of Women's MSGM Clothing, Shoes, Accessories and Handbags as well as Men's Clothing, Men's Shoes, Men's Accessories and Men's Bags.